When it comes to celebrations, there’s nothing quite like lamb to mark the occasion. 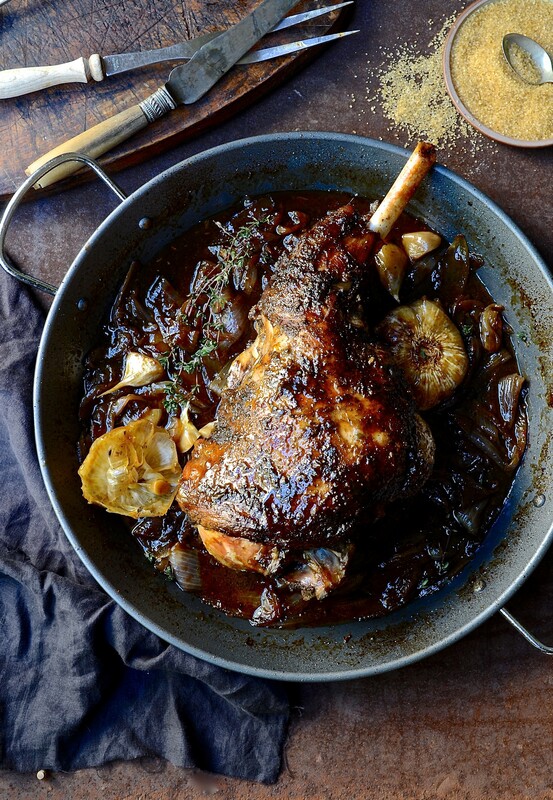 This Easter, I’m making a North African lamb knuckle Bredie in place of a more traditional roast leg of lamb. As the days become shorter and air just a little more brittle, I’m drawn to hearty casseroles that offer comfort and warmth. 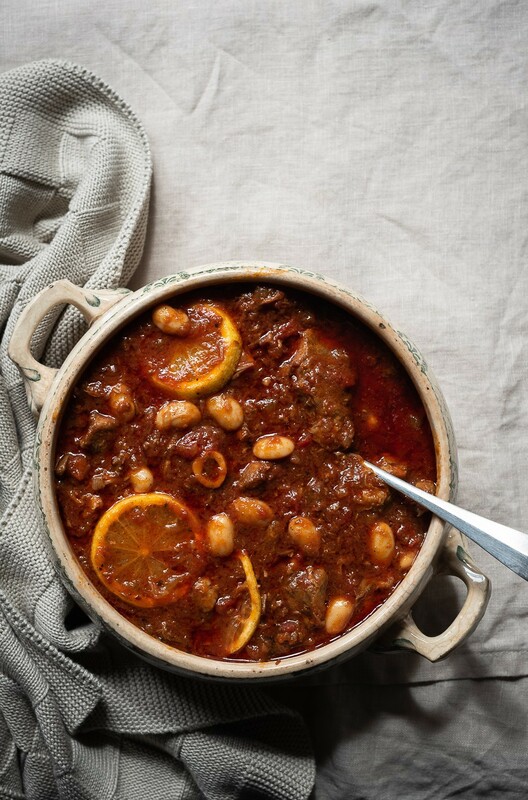 The flavours of this bredie are redolent of classic Cape Malay cuisine, rich in personality and a complete joy to eat. Bredie is as much a part of South African food culture as Milktart and pancakes. 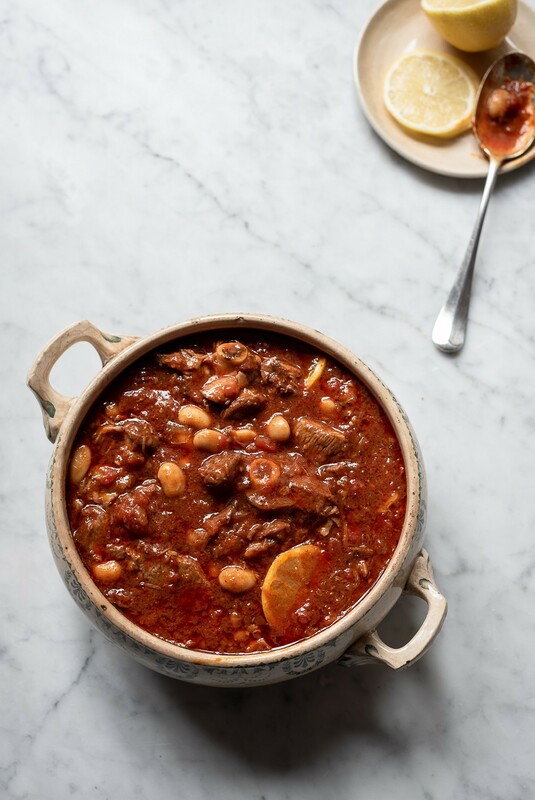 Traditionally, it’s made using mutton or stewing lamb. As with most stews, the flavourings are efficiently simple with foundational basics like onion, garlic and a good stock. From there, you can add any number of vegetables. Pumpkin, green beans and waterblommetjies are firm favourites. 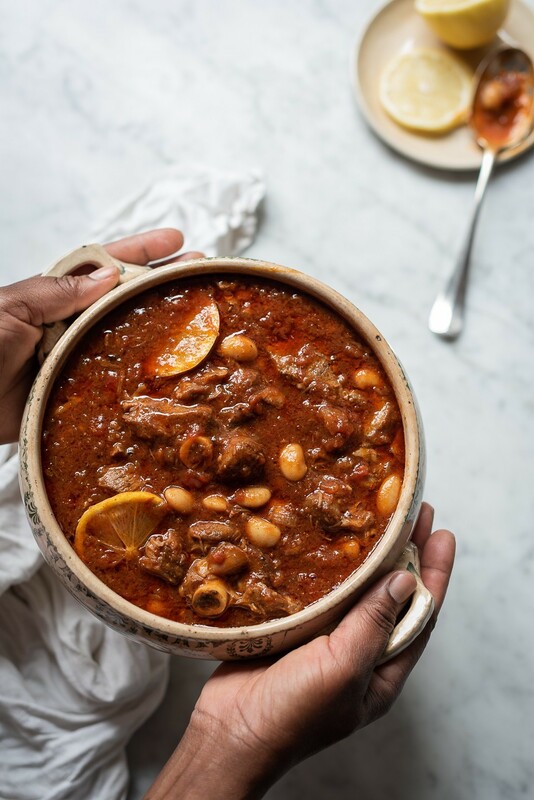 Typically, bredie is a slow-cooked Cape Malay stew. While not especially hot, it is mildly spicy with great depth of flavour. Coriander, garam masala and cumin are responsible for the earthiness of the sauce, while ginger and chilli offer a heated element. I balance the savouriness and tomatoey acids with a squidge of honey. For this recipe I’m using lamb knuckles. They’re fatty and gelatinous with a gentler taste than mutton. Short-cutting my way around slow roasting, this bredie is made in the new Instant Pot. It’s a game changer as far as pressure and slow cooking is concerned. After 45 minutes, the meat falls away from the bone and is soft enough to eat with a spoon. 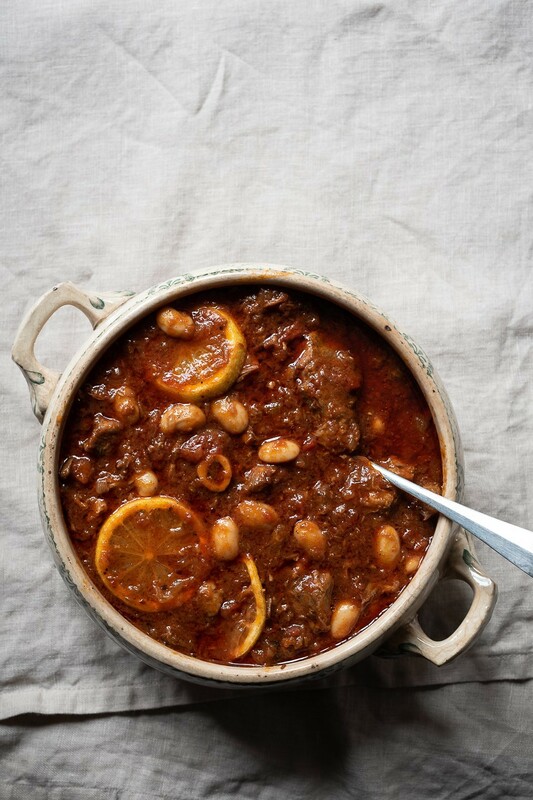 Once I’ve reduced and thickened the sauce with a cornflour slurry, I mix in creamy white beans and sliced lemon to cut through the fattiness of the lamb and brighten the flavours. Serve with a bowl of fluffy mash or couscous tossed with currants and toasted almonds. 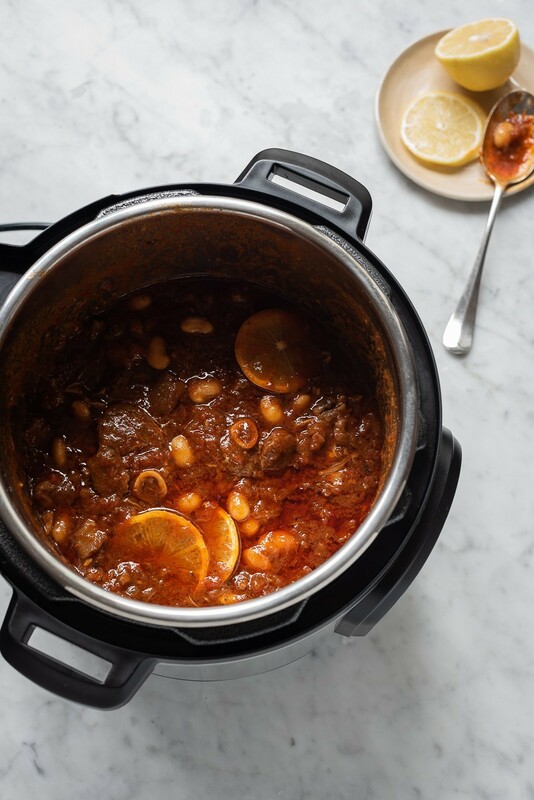 Instant Pot is available at all @Home stores and online at Yuppiechef, priced from R1,999. Season the lamb on both sides with salt and freshly ground black pepper. Set the Instant Pot to Sauté function. Heat 1 tablespoon oil until hot, then brown the meat on both sides. I do this in batches to ensure the meat develops good caramelization. Remove from the pot and set aside. Keeping the Instant Pot on Sauté function, add another tablespoon olive oil along with the onions and sauté until softened, about 5 minutes. Stir in the garlic and ginger and cook for another minute. Add all the dry spices, including the chilli flakes and cook for about 2 minutes. Add the tomato paste, chopped tomatoes, honey and stock. Return the meat to the pot and submerge in the sauce. Cover with the lid on and lock into place. Select the pressure cook function and set the timer to 45 minutes. Use the natural slow pressure release method for 10 minutes. Turn the pressure vent towards you to release the remaining steam. With a slotted spoon, remove the meat and place in a bowl. Set the Instant Pot to Sauté function and reduce the sauce for 15 minutes. Add the corn-flour slurry and simmer until the sauce is thickened, about 3 minutes. Add the beans and meat to the sauce and heat through. Place the lemon slices in the sauce. Serve the bredie with buttery mashed potato or couscous. This post was proudly sponsored by Instant Pot. As always, opinions and comments are my own and based on personal findings. If you’re still after a leg of lamb roast, this one will do very nicely, too. lovely recipe thank you! 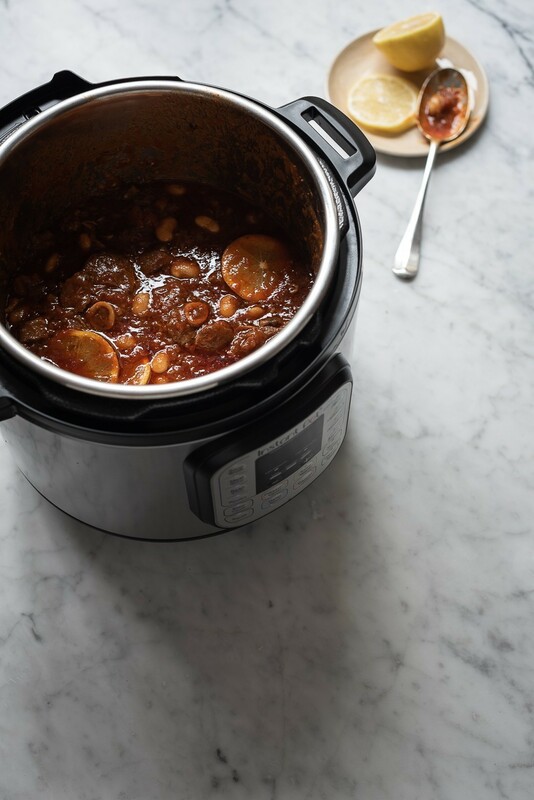 Im new to instant pot / pressure cooker. Would love to see some more pressure cooker recipes! My pleasure. 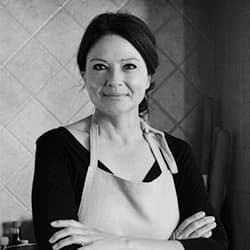 It’s a real win to have in the kitchen Michelle, especially when you’re after the tenderness of a slow cook but don’t have time. There’s another recipe coming to the blog soon so keep an eye out for it. This one’s a keeper. 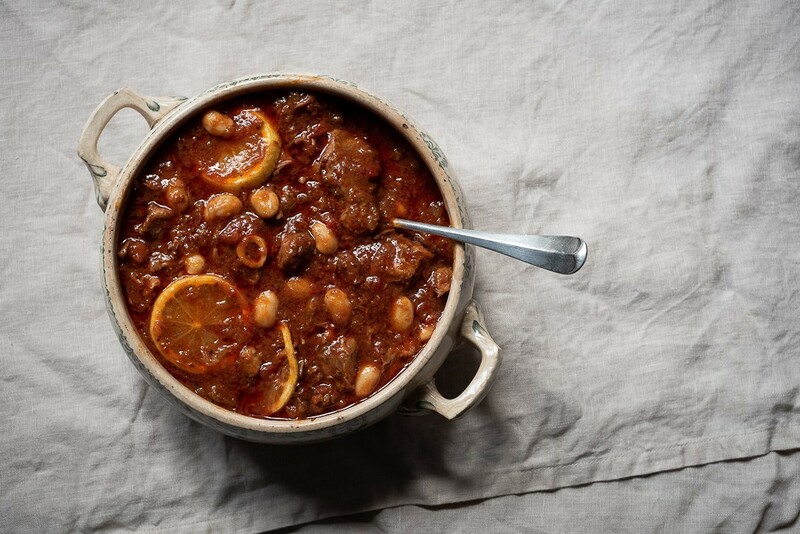 With winter just around the corner, there’ll be plenty more casseroles and stews coming your way. I hope they’ll become new favourites at your table. Looks so inviting, just the kind is recipe I need. Thank you Thora. Having a couple of ‘faithfuls’ in your back pocket is always helpful. This is one of them. When I’m having guests for dinner or need a dish that can take care of itself, this is the kind of recipe I turn to. I hope it becomes one of yours too.